I’ve been having a really good time testing Nootca Goggles and reviewing them for the blog. I’ve been really excited to work with the Nootca 5 because they are the Nootca version of swedish goggles, which have always been my goggle of choice. Before I dive into the review, I am not paid or sponsored by Nootca and this review is my own opinion. The Nootca 5 nosepiece is easy to adjust to any face. Nootca has a youtube video posted with instructions for assembling them three different ways. You can use the nosepiece that comes out of the box, swap it for the string nosepiece they supply as a backup, or even cut the goggle strap and use that as your nosepiece. I like a tight fit with my goggles, so I prefer the string or goggle strap method over the pre-assembled nosepiece. One of the best parts is that if the nosepiece breaks, you don’t have to purchase a new pair of goggles to replace it. The Nootca 5 gasket is comfortable. These are goggles that mimic swedes without any of the pain! A complete win for new swimmers/triathletes or anyone that doesn’t want to “get used” to a pair of swedes. The Nootca 5 is available in three different lens colors. The clear lenses are great for indoor use or overcast days. The brown lenses are best for low light/overcast conditions during outdoor use. They even filter blue light to help increase contrast. The green/smoke color lenses are best for bright, sunny days because they help reduce glare. Even though their are only three colors available, they cover a wide range of conditions. The Nootca 5 retails for $18. While they are more expensive than swedes I have purchased in the past, they are less expensive than a pair of vanquishers and completely reasonable when you compare the price to other goggles on the market. 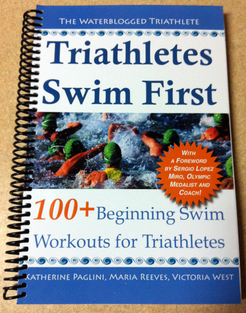 The Nootca 5 work for any level swimmer/triathlete. They’re comfortable and easy to adjust. Plus the clarity is amazing. Thanks to the flexible nosepiece, they can be adjusted for youth to adult athletes. The Nootca 5 comes with a protective pouch to prevent them from being scratched. I have never made an effort to protect my goggles until I began testing the Nootcas. The case is almost too easy not to use. The Nootca 5 will sink if they get knocked off during a race. The anti-fog lens on a pair of Nootca 5s is good, but it isn’t perfect. I don’t think the anti-fog is perfect (I’ve yet to find a pair that is) but they do work very well. Nootca has some tips to improve the anti-fog such as starting workouts with a dry lens, not touching the inside of the lens, and rinsing them with distilled water after practice. I have not rinsed them with distilled water (sorry, but it is true) because the fog is not a deal breaker for me. I’m very used to it by now! I really like these goggles and highly recommend them. ‹ I’ve Just Been Inducted into the AK Swimming Hall of Fame! YAY!! !